Police are appealing for information after a number of garages in Rother have been targeted by criminals with eight cars stolen from one. Two garages in Bexhill were broken in to and another in Guestling suffered criminal damage over three days last week. One in London Road had eight cars stolen and another in Ninfield Road had a door smashed overnight on Monday, February 20. The garage in Winchelsea Road, Guestling, had an outbuilding entered and was subject to damage over the weekend of February 18-19. Hastings has seen a spate of garage break-ins and car thefts in recent weeks. Anyone with information concerning break-ins, especially if they know the whereabouts of the stolen cars, can e-mail 101@sussex.pnn.police.uk or phone 101. 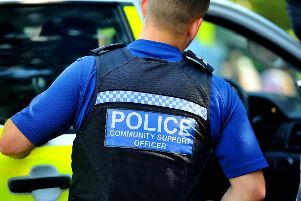 Alternatively you can report information online here https://sussex.police.uk/contact-us/response-to-appeal. You can also call the independent charity Crimestoppers (https://crimestoppers-uk.org/), anonymously, on 0800 555 111. For crime prevention tips and advice you can tap this link to our website http://www.sussex.police.uk/advice/protect-your-home-and-belongings/burglary/.